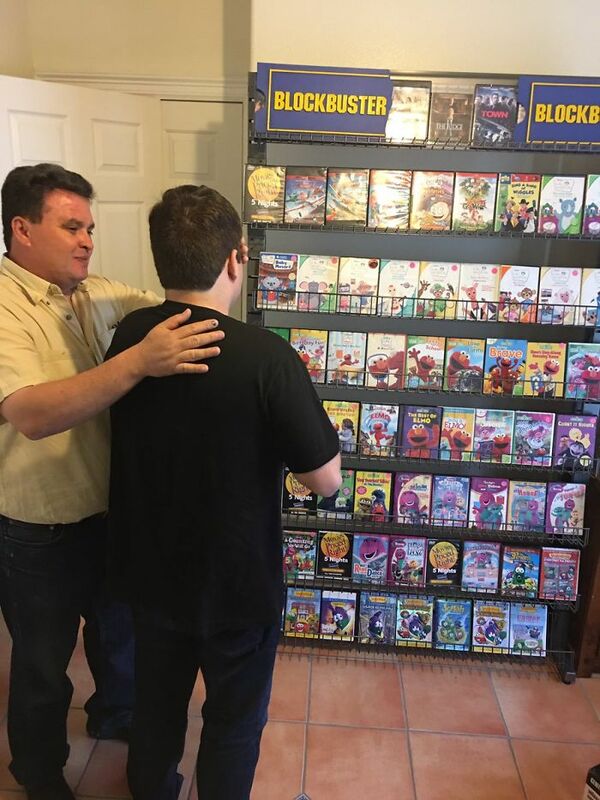 This awesome thing a loving dad did for his autistic son all began when Blockbuster announced they were closing down. 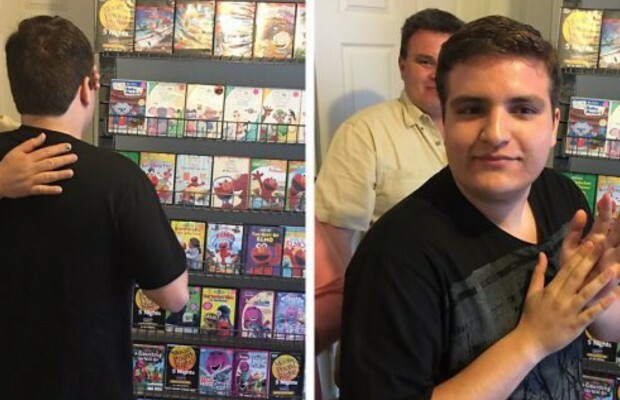 When he saw how much his son was upset, he started building his very own mini version of the video store inside their home. 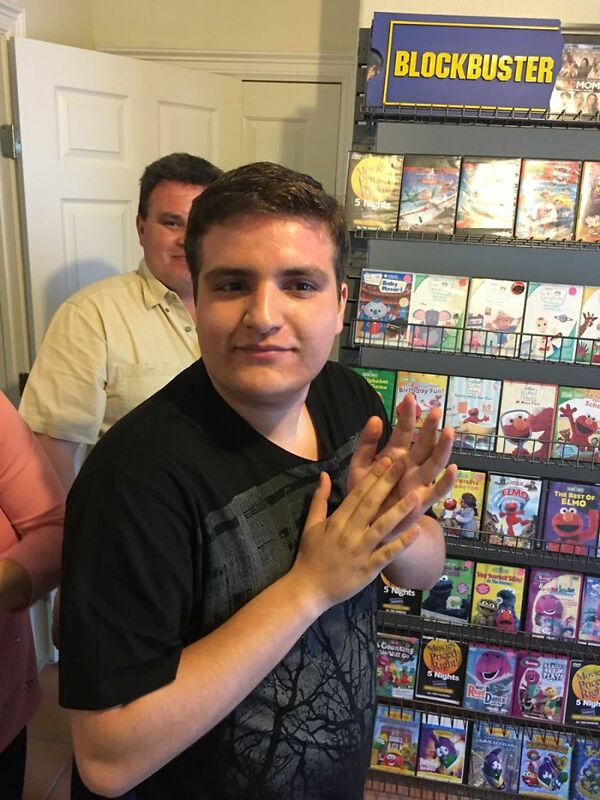 Now while he didn’t say anything because of autism most likely, his brother Javier says he was laughing and smiling and clapping his hands with joy. 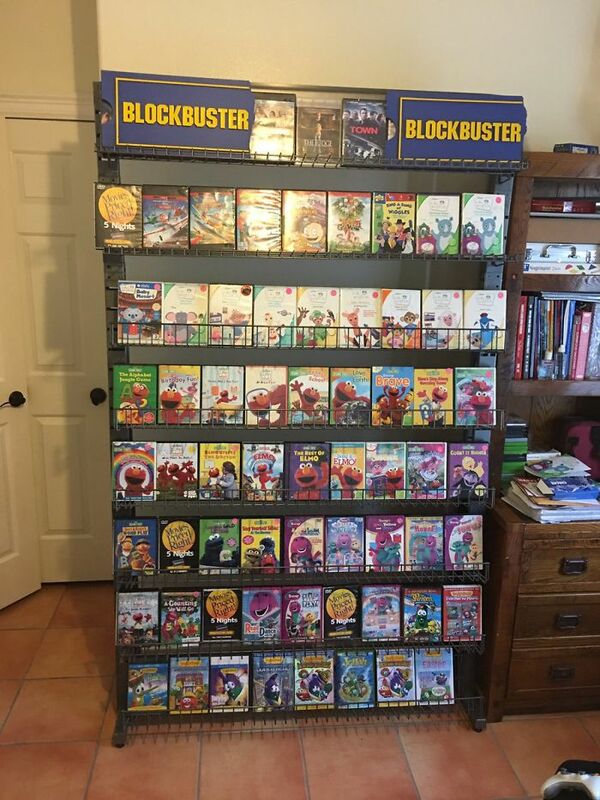 The parents also made sure that all their son’s favorite movies were included like Veggieb Tales, Rugrats, Barney and Elmo titles. Blockbuster was one of the most succesfull companies in the world when they first opened in 1985. By 1989 they were so popular that a new store was openinng somehwere in the world evey 17 hours.